Comments: Model 5B3 is the same as the TV Front 5A3 but in the wide panel cabinet. Model 5C3 has a separate On/Off toggle switch, external speaker jack under the chassis, glass tubes, and a negative feedback loop. Model 5D3 is the same as 5C3 but without the negative feedback loop. I’m very impressed with your informative site. Any comments on the above that you could offer would be greatly appreciated. I doubt Line 6 did any real research into the exact years and models. 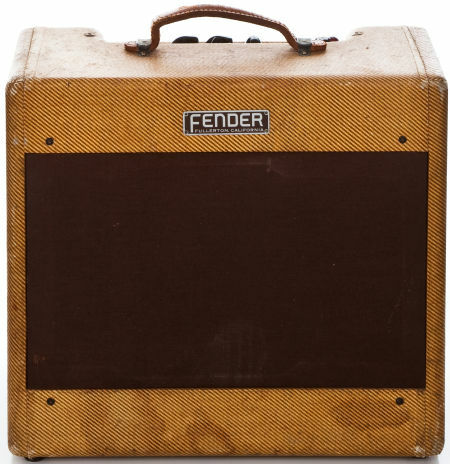 In fact on of those links the refer to it as “Tweed Deluxe Reverb”. Of course none of the tweeds came with reverb. 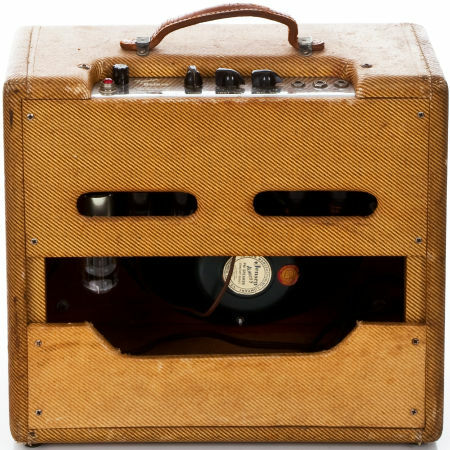 Modeling amps and effect can be useful and fun for the home user but never sound or feel all that much like the real thing. It hardly matters what it was modeled after exactly because it really isn’t going to come close.If you like the way it sounds that’s great though! My company builds a version of 5B3 called the Octal Deluxe it’s a great sound circuit and great for blues and rock guys. I bought a 5b3 cabinet for my 5d3 deluxe my amp guy who has seen everything had never seen a 5b3 but they do exist as my tube chart attests. I think it was a passing model as it was 3k amps made before my 5d3 good luck but that is real! I am searching for a 5b3 chassis – just the chassis, in any condition. Please help! Did you get the 5B3 cab off of ebay from a guy in georgia or down south? did you get your 5B3 cabinet on ebay from south carolina? 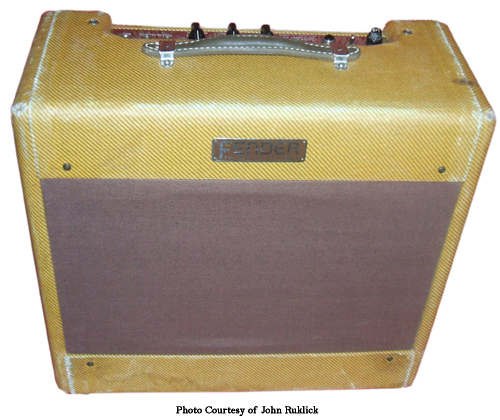 I have a 5B3 with original cabinet and chassis S/N 5842, to include the 1952 Alnico speaker. I am currently returning it as close as possible to original electronically, as there were a few modifications done years ago. Also the main cabinet has been redone with not so close Tweed and speaker grill. But once I have it finished I may sale it. Not sure yet.But if the price is right it will go. Craig Bateman, Did you ever decide to sell your 5B3? How does it compare to the 5E3 soundwise? Anyone have the complete accurate dimensions on an original 5B3? H x W x Top Depth x Bottom Depth?